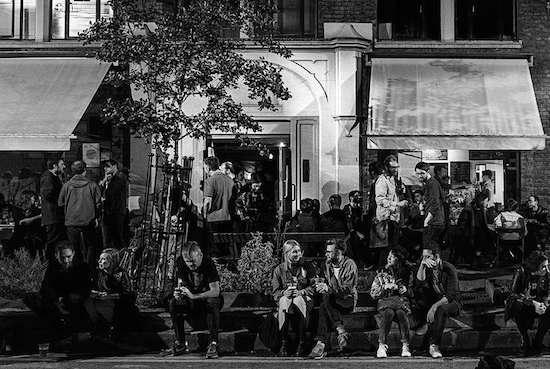 Dalston's Cafe OTO has called upon the public for support upon Hackney Council launching a development consultation programme for the area. The venue, which opened in 2008, says that these plans could affect the OTO Project Space which is situated directly next to the venue and offers free rehearsal space for musicians as well as workshops, talks, performances, film screenings and more. "This work has become an integral part of what we do at OTO and we are determined to keep it on the street," the venue says in calling upon people to throw their support behind the space. There are three draft principles that the venue says people need to support in order to protect existing businesses in the area - you can read those principles here, while you can have your say on the matter by answering the questions on that link also. The deadline for the consultation is this Sunday (April 30).